CorLife LLC offers comprehensive workers’ compensation claim management in four specialty areas of service. CorLife President/CEO Lauren Underhill identified a real flaw with the accepted “norm” of the workers’ compensation claim process. Large corporations manage claims with “full-service” expertise including too much of everything—excess staff, extensive timelines and inflated pricing. She soon discovered trimming this process could positively affect relationships with carriers and, most importantly, injured workers. Thus, CorLife works with a core philosophy—simplicity. One specially-trained clinical claim handler working to truly understand the case then provide quick, effective, accurate management through the life of the claim. This proven process has now been replicated into four areas of specialized service, now referred to as CorLife’s Cor4 companies. Below, learn about each company and how their innovative approach makes a difference for carriers and injured workers nationwide. 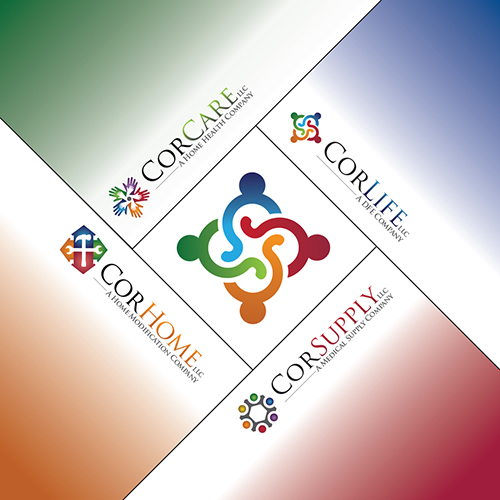 CorLife offers Assistive Technology Professional (ATP)-driven assessments, installation by certified and insured contractors, and warranty coverage on all products sold. From start to finish, CorLife’s personalized process ensures fair market prices, reliable service and delivery. Learn more about CorLife. CorHome works exclusively on claims relating to medical and functional home modifications recommended by medical professionals. The CorHome staff—including a dedicated project manager/engineer with over 25 years construction experience—collaborates with claims handlers, adjusters and nurse case managers to identify modification needs within an injured worker’s home. They also work with the contractor, homeowner and injured worker throughout the home modification process. Learn more about CorHome. With the lowest prices in the industry, CorSupply offers the highest level of customer care for disposable medical supplies. CorSupply’s personalized approach allows for flexible shipping schedules, guaranteed product accuracy and a “no questions asked” return policy. Learn more about CorSupply.